The Salisbury Preserve is a wonderful spot for hiking, mountain biking, horseback riding, cross country skiing, and wildlife observation. It's part of a large GLT parcel that includes the Parker Preserve and the Roger Hohman Sanctuary. Also adjacent are the Town's Hassanamesit Woods, Keith Hill Forest, and Oakmont Farms and the GLT's Platt Preserve. The entire open space area totals over 600 acres. 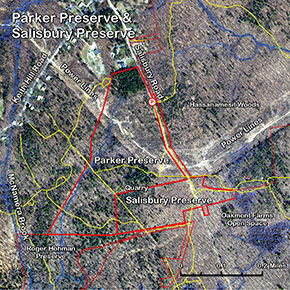 The Salisbury Preserve straddles the old Mendon Road that continued from what is now Salisbury Road down to what is now the Oakmont farms development. This old roadway is now a Town waterline easement. The Preserve includes the roadway between the Parker Preserve and the Town's Hassanamesit Woods down, over the powerline easement and a ways further. 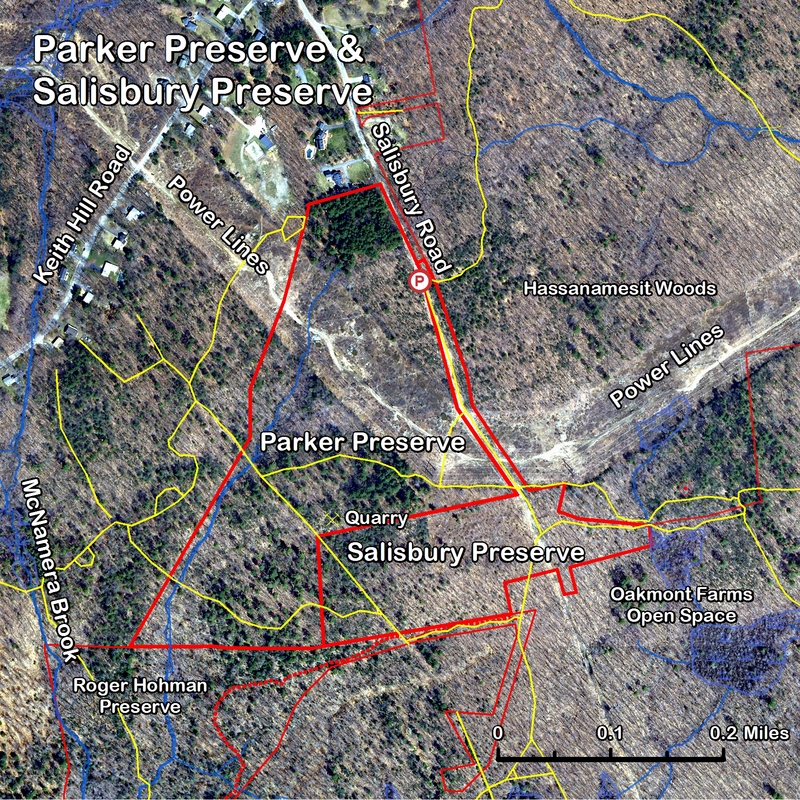 The Salisbury Preserve was part of the Oakmont Farm property and was threatened by development, along with all the property south to Milford Road, to be developed for dense single house lots.